Joseph's little friend turns 3 today. I was chatting to his mum who was at a bit of a loss as to what to do for Max's birthday "he can't even have cake". Now cake is one of the essential food groups as far as I am concerned, and couldn't imagine a child's birthday without it. Max is gluten and dairy free due to severe allergies, he is also nut free, a lot of the commerical gluten products either contain nuts or can't guarantee to be nut free. So I set about trying to bake some treats for Max. Twitter really came in useful, I have no idea what I'd do without it at times, I asked a few weeks ago for some help and got loads of help and advice. Several Twitter folk suggested Pure spread, and one suggested to look at the recipes on the site. The first two recipes come from the Pure start. The cakes weren't gluten free, but I substituted the gluten free flour with great success. 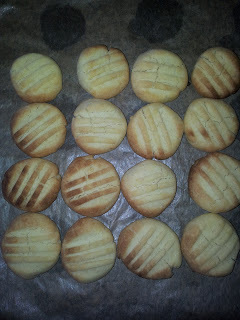 I used plain flour but added 2 teaspoons of baking powder instead of one. The cakes are so light and fluffy with a tender crumb, and I think they're better than my normal vanilla cupcakes. 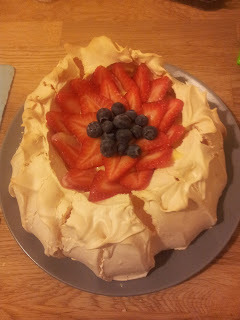 For the birthday cake I'd decided on Pavlova which is just my normal recipe, as it only contains sugar and eggwhite its naturally gluten and dairy free. My only issue was what to fill it with, normally a pavlova is filled with cream. My neighbour suggested soya cream, but it can't be whipped so that was no good. I did a bit of a search and found Alpro Vanilla Dessert, and used three tubs of this topped with the fruit you can see in the photograph. My neighbour was amazed at the goods I produced, and surprised how "normal" they look and taste. I've really enjoyed my foray into gluten and dairy free baking and looking forward to exploring further! Ooo I'll keep Pure spread in mind!! it's really excellent, I am a bit of a butter snob, but I think I'm converted. It creams so beautifully, and its about half the price of butter too! Awww do you think? I love baking and it made me happy to give him cake that he otherwise wouldn't have had. love these ideas, thanks! Any lactose free ones?! As far as I am aware they are all lactose free, the alpro prodcuts are lactose free and the pure ones are too. 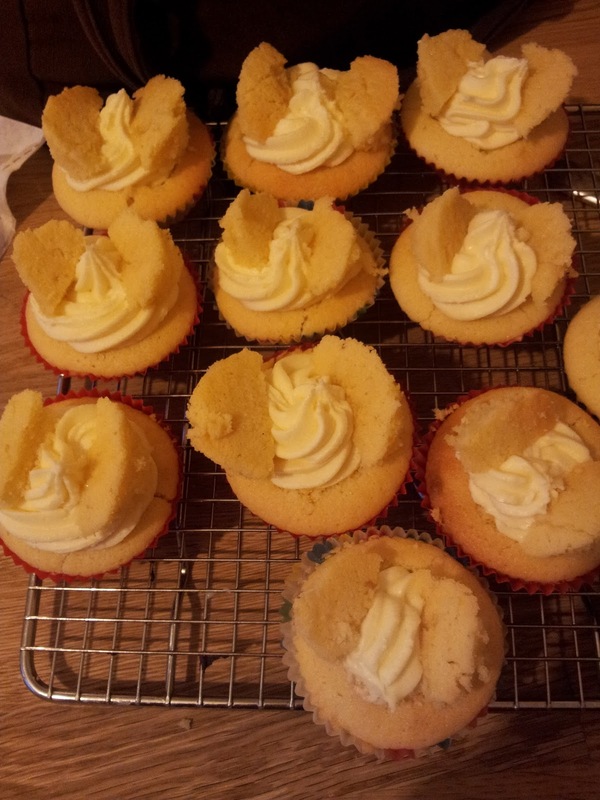 I am no expert on specialist baking though!